Are you an avid swimmer? If so, you have probably wondered what it would be like to have your favorite music playing while you put in your laps. One of the great headphones innovations available these days is waterproof headphones. Now you can not only listen to music while you exercise, but you can have the music right in your ears as you submerge and paddle on. Whether you're a swimmer, surfer, or need some tunes in the shower, headphones for swimming are a real treat to use. Is it safe to use headphones under water? 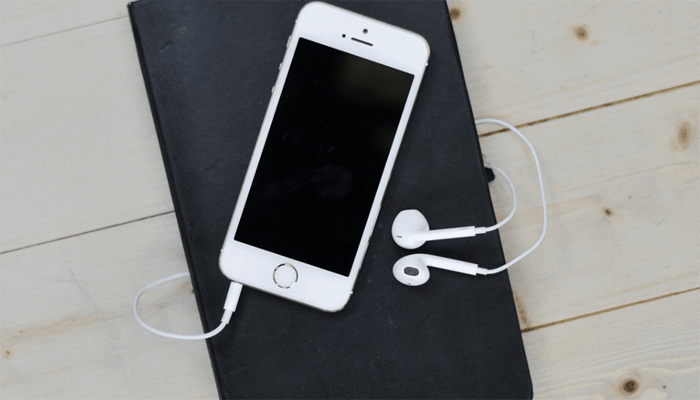 Being able to listen to music in the water is great and all, but where do you start? 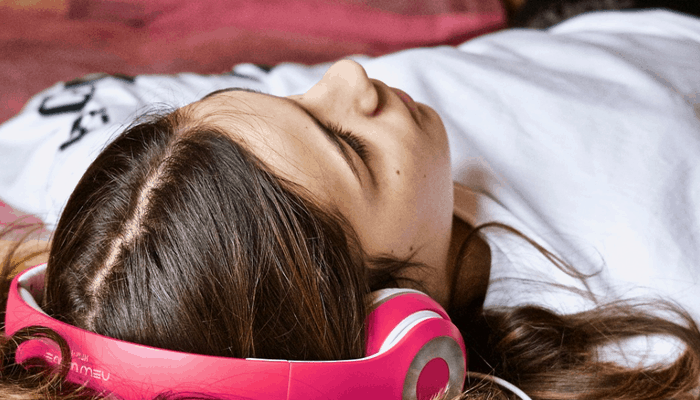 If you've never owned a pair of underwater headphones before, you're going to need a little bit of information in order to make an informed buying decision. 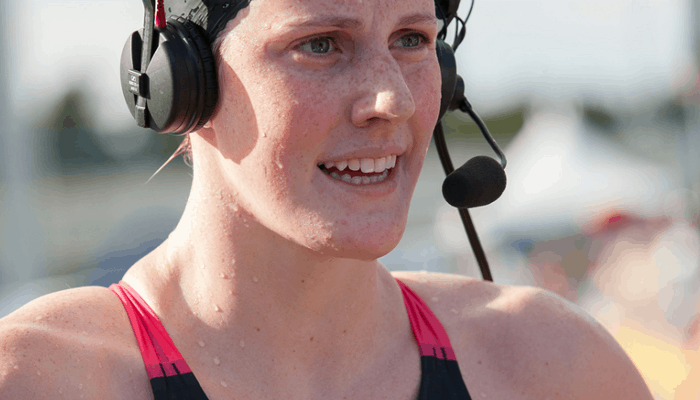 Here we outline the top 5 headphones for swimming in 2019, along with a bit of extra info of things you should be looking out for when buying. These sport headphones have been designed for swimmers who are seeking out the maximum level of comfort while in the pool. One of the biggest complaints in headphones, especially swimming headphones is how uncomfortable they are. When you're putting in your laps, you need headphones to fit well and stay in place. 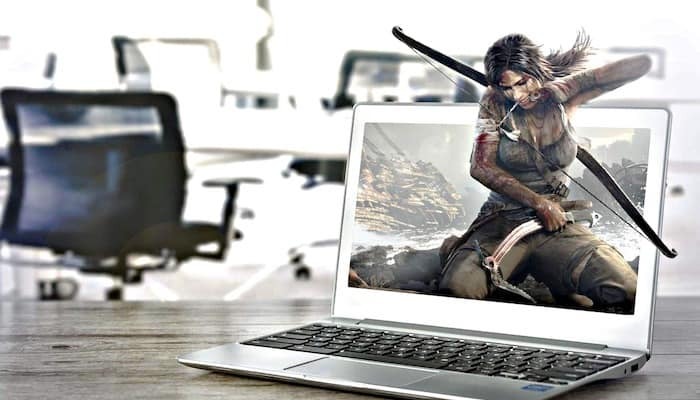 The design is rugged with strong wires and a third generation Hydrobeat TM sound. 4 different types of ear tips are included so you can choose which is the most fitting and comfortable for you. With an IPX8 waterproof rating, you will be able to go up to 3.6 meters deep without risking damaging your earbuds. Why We Liked It - Finding comfort is one of the most sought after qualities when it comes to swimming headphones. Swimsport has found a way to bring the highest level of comfort to the consumer without sacrificing sound quality and durability. 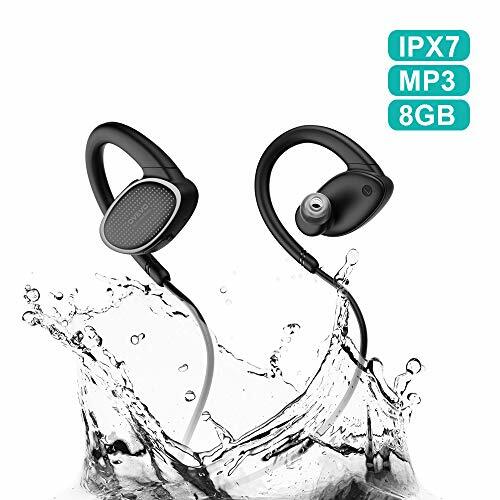 If you're looking for a little better sound quality in your swimming headphones, then the Hydroactive Short-Cord Waterproof Headphones may be for you. They are outfitted with multiple protection chambers which make them one of the most watertight underwater headphones available. 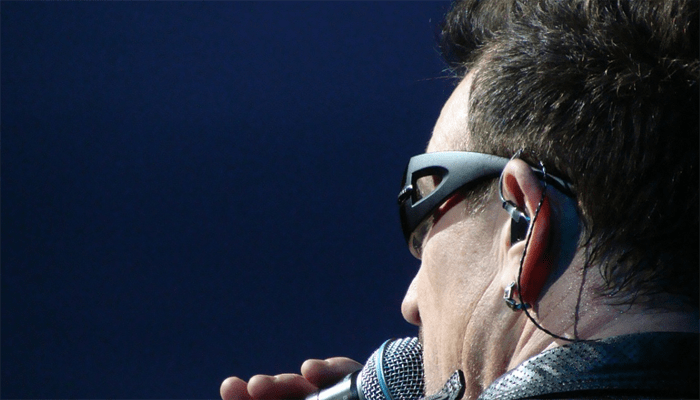 That means they will last longer and give off better sound than many of their counterparts. They come in a wrap-around design to keep tightly to the head without interfering with the headgear. Three different styles of multi-sized tips will make them extra comfortable, and they will be great for any water-based activity including swimming, kayaking, surfing, and SUPPING. Why We Liked It - The sound is truly superior with the multi-protection chamber design. They are completely watertight and will last a long time without the sound flaking out. Sometimes you need a little extra bass to keep you going through the laps. H20 Audio has created a set of underwater headphones that will offer a really bassy tone under the water. 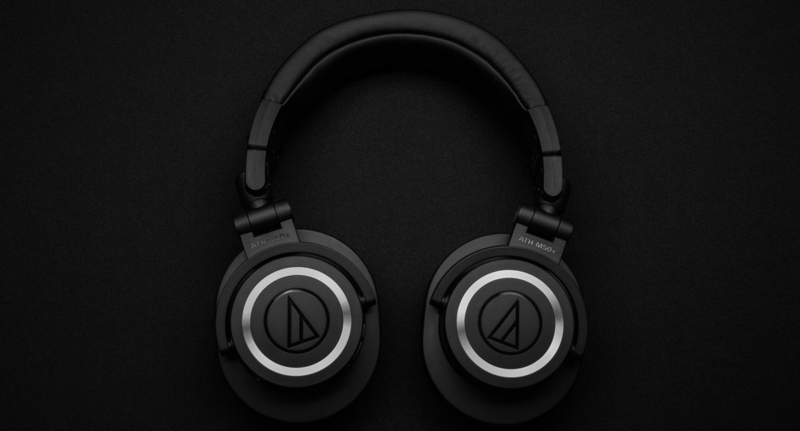 These headphones boast an IPX8 waterproof rating which is good for 3.6 meters worth of depth. Designed by athletes who know how headphones are meant to feel, they are extra comfortable and will stay right in place. The short cord design will keep them tight and out of the way of any headgear you may need to wear. 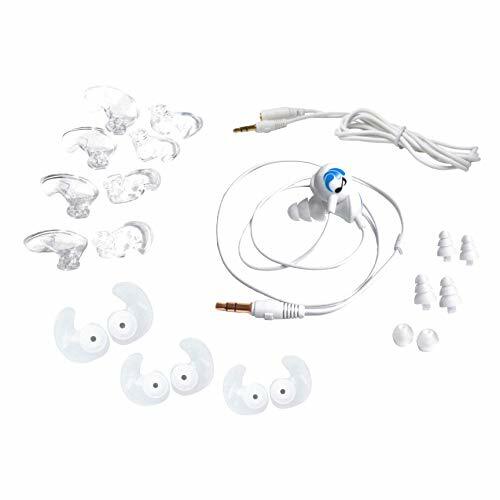 Multiple ear tip sizes will give you flexibility on fit, and the MP3 player is attachable via a short cord which sits easily on the back of the head. These are great for swimming and many other water-based listening activities. Why We Liked It - These fit so snugly to your head that you don't ever worry about them coming off. You can really tell that they were designed with athletes in mind During the most rigorous workout, they stay right in place and sound great time after time. 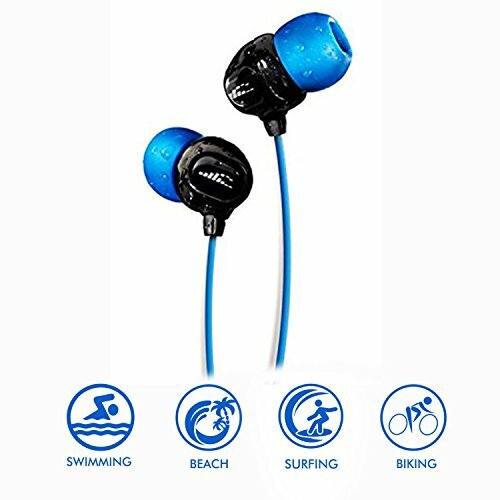 These headphones are great for the all-around athlete that doesn't mind getting wet every once in a while. They have an IPX7 sweatproof rating which isn't as strong as many other swimming headphones but will still allow you to be submerged 3ft below the surface. 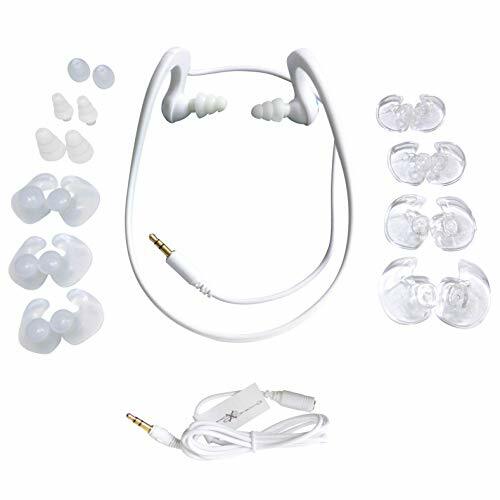 The earbuds have a 9mm titanium driver to deliver crystal clear high frequencies and a well-balanced bass tone. Gentle ear hooks will keep these headphones in place as you listen either through your MP3 player or with the built-in memory in the headphones. The onboard memory will offer 8GB for a load for songs to get you through a workout. Why We Liked It - These are great for people who workout outside of the pool but also like to get them wet every once in a while. You can't go as deep as many other headphones will allow but you'll still be good for a short time in the pool. Swimbuds has designed a pair of headphones specifically for flip turns. Many swimmers know that flip turns are absolutely essential to swimming technique and flip turns come right along with it. 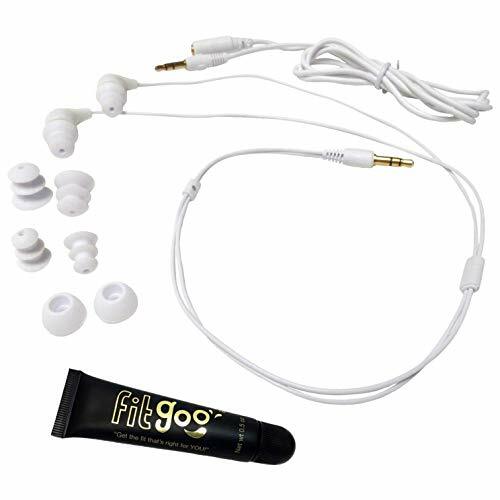 These swimming headphones come with flanged ear tips to help keep them fully sealed in the ears while swimming. 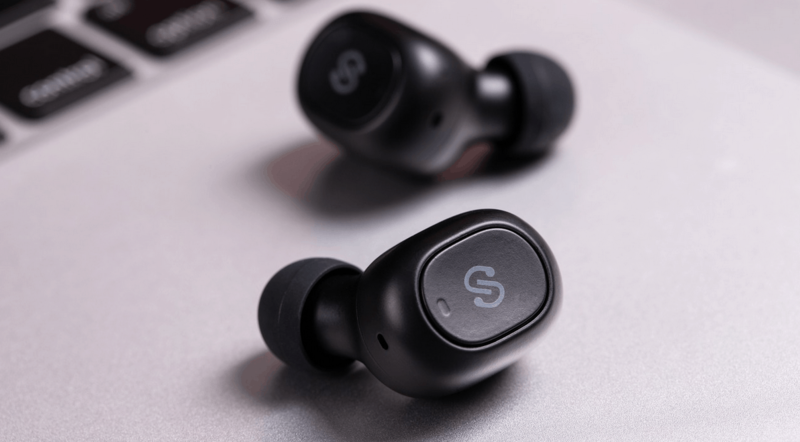 The short-cord design will keep the wire out of the way when placing them under your cap, and a cable extension comes along with it for the times you just need a pair for running or casual listening. The IPX8 waterproof rating gives you the ability to submerge totally for hours without ruining the headphones. They also come with customizable ear tips to give you just the right fit. Why We Liked It -it's great to have the peace of mind that your headphones are going to be watertight while swimming. Whenever flipping and turning through the water, they stay right where they are supposed to and sound great all the while. Whether you're a newbie, or a seasoned veteran looking for a new pair of swimming headphones, it can be useful to brush up on some necessary information before buying. 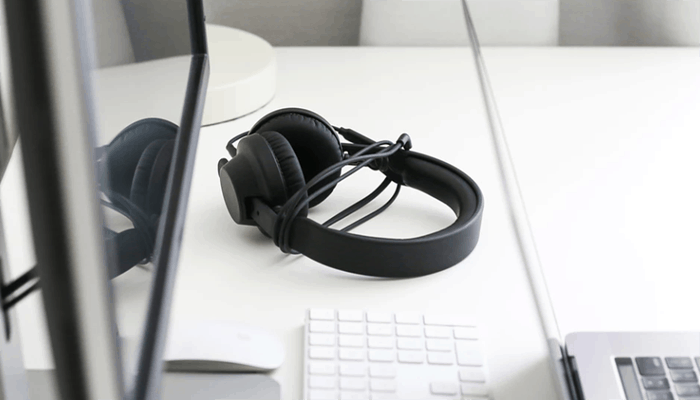 A few different factors come into play that will make your headphones better suited for certain purposes. Fit, sound-quality, waterproofing, and durability are all factors that come into play. Here are a short buyers guide to help you gain a little more confidence before making your swimming headphone purchase. 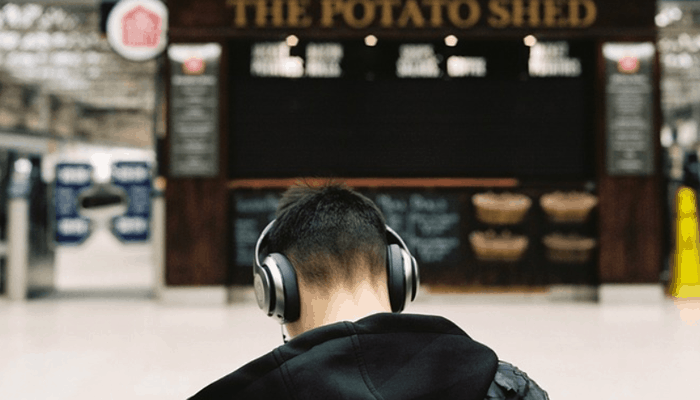 Sound quality will determine a lot when it comes to the level of satisfaction you get out of your headphones. it is possible to have music sound as good as it should out of the water, so there is no need to sacrifice sound quality. Of course, your main listening activity will be swimming, but you will also be listening at other times as well. You want to be sure you're getting warm bass and clear highs when you're sweating through your workout. Water is hard on components. When you're swimming through chlorine and salt-water, scaling can build up and cause long term damage to your headphones. You want to ensure that your swimming headphones are built to last and won't need to be replaced after a few laps around the pool. When you are finished in the water, always make sure to give your earbuds a little bit of TLC so they last a little longer as well. The fit is more important with underwater headphones than it is with regular use headphones. Because you need a more watertight seal, they need to be able to match your ear size perfectly. Luckily, most headphones come with multiple sized ear tips so you can fit them directly into your ears without having them fall out. Also, think of what type of gear you're going to be wearing along with the headphones. Do you need to tuck a wire underneath a swimming cap, goggles or hat? If so, make sure you get a pair with a short-cord or no cord at all. The last thing you want is to lose your headphones to the bottom of the pool or ocean while you're putting in your exercise. The highest level of waterproofing is extremely important. You need to be able to fully submerge in the water without ruining your technology. 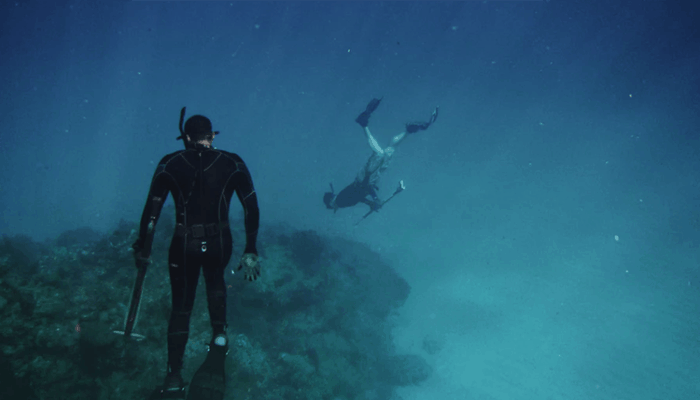 With an IPX8 waterproof rating, you can submerge up to 3.6 meters before they start to feel the pressure. 3.6 meters is a lot, and you usually won't be swimming that deep, but it is nice to know you can. When they have the ability to go that deep, you know they'll be able to stand up to a lesser depth worth of pressure with no issues. We all know to keep our electronics away from the water. But with waterproof headphones, you don't need to worry about that. They are designed to properly keep out moisture and water and will not cause shocking or shorts when you are using them. It is important, however, to make sure that you are getting waterproof headphones and not water resistant. Water resistant headphones are generally not meant to be submerged and will likely not work after spending too much time in the depths. Waterproof headphones with a high rating are no problem though. Stay in the water till the battery wears out and they will still work. With this information, you should be ready to go and get your new pair of headphones and hit the water. Now you can get your KMs in with your favorite music in your ears. Happy listening.